Robert had already been wounded twice before. United Kingdom Private 67274Devonshire Regiment20/07/1917 Age: 19 VII. A. 10. United Kingdom Private 268379Duke of Wellington's (West Riding Regiment)20/07/1917 Age: 33 I. E. 6. United Kingdom Serjeant 265504Seaforth Highlanders22/07/1917 Age: 28 VII. C. 1. United Kingdom Sapper 224831Royal Engineers12/06/1917 Age: 33 VII. A. 6. United Kingdom Lance Corporal L/13612Middlesex Regiment29/05/1917 Age: 24 I. B. 3. United Kingdom Private 81371Durham Light Infantry20/07/1918 V. A. 4. United Kingdom Driver 55718Royal Field Artillery06/06/1918 IV. H. 6. United Kingdom Corporal S/24003Argyll and Sutherland Highlanders20/07/1918 V. D. 6. United Kingdom Rifleman 267065West Yorkshire Regiment (Prince of Wales's Own)20/07/1917 Age: 23 X. J. 10. United Kingdom Private 301107Royal Army Medical Corps29/07/1917 Age: 20 V. H. 11. United Kingdom Private 23/683Northumberland Fusiliers27/05/1918 IX. B. 11. United Kingdom Rifleman 60306West Yorkshire Regiment (Prince of Wales's Own)20/07/1917 Age: 19 V. B. 10/13. United Kingdom Private 51952West Yorkshire Regiment (Prince of Wales's Own)20/07/1917 Age: 25 I. G. 11. United Kingdom Private 12686Worcestershire Regiment03/06/1918 V. A. 3. United Kingdom Private S/19002Argyll and Sutherland Highlanders23/07/1917 Age: 22 III. F. 2. United Kingdom Rifleman 58678West Yorkshire Regiment (Prince of Wales's Own)20/07/1918 III. J. 8. United Kingdom Private 136963Machine Gun Corps (Infantry)30/05/1917 Age: 19 V. G. 12. United Kingdom Private 24058Devonshire Regiment20/07/1917 Age: 25 I. F. 7. United Kingdom Private 52220West Yorkshire Regiment (Prince of Wales's Own)20/07/1917 Age: 19 II. A. 2. United Kingdom Captain West Yorkshire Regiment (Prince of Wales's Own)20/07/1917 Age: 23 X. F. 5. United Kingdom Rifleman 205451West Yorkshire Regiment (Prince of Wales's Own)20/07/1918 X. G. 6. United Kingdom Private 205649Duke of Wellington's (West Riding Regiment)20/07/1917 Age: 23 II. C. 1. United Kingdom Serjeant 300337Durham Light Infantry27/05/1917 Age: 27 I. AA. 1. United Kingdom Private 69709Northumberland Fusiliers24/05/1918 IV. BB. 3. United Kingdom Captain Royal Army Medical Corps06/06/1917 Age: 25 VIII. G. 7. United Kingdom Private S/41937Seaforth Highlanders27/07/1917 Age: 19 III. I. 2. United Kingdom Private 51886King's Own Yorkshire Light Infantry27/07/1918 VII. B. 7. United Kingdom Private 50405Worcestershire Regiment18/06/1918 VI. F. 3. United Kingdom Private 50816Lancashire Fusiliers27/05/1917 Age: 21 IX. D. 4. United Kingdom Private 26206Gloucestershire Regiment14/06/1918 VII. I. 6. United Kingdom Corporal 9354Devonshire Regiment20/07/1917 Age: 23 X. F. 8. United Kingdom Serjeant 201371Duke of Wellington's (West Riding Regiment)20/07/1918 III. C. 4. United Kingdom Private S/24782Seaforth Highlanders26/07/1918 IV. I. 1. United Kingdom Private 41304West Yorkshire Regiment (Prince of Wales's Own)20/07/1918 II. H. 10. United Kingdom Private 266059West Yorkshire Regiment (Prince of Wales's Own)20/07/1917 Age: 22 I. B. 9. United Kingdom Private 200041West Yorkshire Regiment (Prince of Wales's Own)20/07/1917 Age: 26 II. G. 8. United Kingdom Private 57224West Yorkshire Regiment (Prince of Wales's Own)20/07/1918 II. E. 8. United Kingdom Private 62484King's Own Yorkshire Light Infantry24/07/1918 III. BB. 2. United Kingdom Private 201198Duke of Wellington's (West Riding Regiment)20/07/1917 Age: 26 II. I. 4. United Kingdom Sapper 526109Royal Engineers06/06/1917 Age: 31 VII. H. 6. United Kingdom Serjeant 57743Durham Light Infantry20/07/1917 Age: 42 X. F. 2. United Kingdom Rifleman 51852West Yorkshire Regiment (Prince of Wales's Own)20/07/1918 X. H. 1. United Kingdom Driver L/7558Royal Field Artillery31/05/1917 Age: 37 VIII. G. 1. United Kingdom Rifleman 60322West Yorkshire Regiment (Prince of Wales's Own)20/07/1918 VIII. A. 7. United Kingdom Private 132764Machine Gun Corps (Infantry)30/05/1918 V. G. 10. United Kingdom Corporal 207283Worcestershire Regiment27/05/1917 Age: 23 I. D. 1. United Kingdom Gunner 102179Royal Field Artillery06/06/1918 IV. F. 10. United Kingdom Corporal 200794Seaforth Highlanders20/07/1918 II. C. 10. United Kingdom Private S/19850Gordon Highlanders26/07/1917 Age: 19 V. A. 9. United Kingdom Corporal 43141Royal Scots23/07/1918 VIII. B. 1. United Kingdom Private S/9036Argyll and Sutherland Highlanders20/07/1917 Age: 21 VI. A. 5. United Kingdom Lance Corporal 52224West Yorkshire Regiment (Prince of Wales's Own)20/07/1918 II. J. 7. United Kingdom Private 40523Hampshire Regiment20/07/1918 II. G. 3. United Kingdom Rifleman 60649West Yorkshire Regiment (Prince of Wales's Own)20/07/1917 Age: 18 III. J. 7. United Kingdom Private S/22571Seaforth Highlanders26/07/1918 IV. G. 9. United Kingdom Private 49476West Yorkshire Regiment (Prince of Wales's Own)20/07/1918 II. B. 7. United Kingdom Private 201976Gordon Highlanders20/07/1918 IV. B. 3. United Kingdom Private 313039Gordon Highlanders26/07/1918 VI. D. 6. United Kingdom Lance Corporal 270121West Yorkshire Regiment (Prince of Wales's Own)20/07/1917 Age: 33 I. A. 6. United Kingdom Private 18062Duke of Wellington's (West Riding Regiment)21/07/1918 I. C. 7. United Kingdom Company Serjeant Major 18/875West Yorkshire Regiment (Prince of Wales's Own)20/07/1918 IV. AA. 2. United Kingdom Private 266033Seaforth Highlanders20/07/1917 Age: 22 VII. J. 3. United Kingdom Private 41458Gordon Highlanders26/07/1918 IV. J. 9. United Kingdom Lance Corporal 201629Gordon Highlanders19/07/1918 IV. B. 7. United Kingdom Private 81220Durham Light Infantry09/06/1918 I. C. 1. United Kingdom Private 39707Royal Army Medical Corps09/06/1917 Age: 32 VII. H. 5. United Kingdom Private 201087Seaforth Highlanders23/07/1917 Age: 19 VIII. A. 10. United Kingdom Private 268355Duke of Wellington's (West Riding Regiment)20/07/1918 III. B. 5. United Kingdom Private 240252Seaforth Highlanders23/07/1917 Age: 24 IV. F. 3/5. United Kingdom Private 91465Durham Light Infantry27/05/1918 VII. J. 9. United Kingdom Private 241043Devonshire Regiment20/07/1918 III. C. 9. United Kingdom Private 29811Duke of Wellington's (West Riding Regiment)20/07/1918 I. G. 12. United Kingdom Lieutenant Black Watch (Royal Highlanders)28/07/1917 Age: 37 VIII. H. 1. United Kingdom Private 44684Gloucestershire Regiment07/06/1918 VI. F. 6. United Kingdom Private 22558Duke of Wellington's (West Riding Regiment)20/07/1917 Age: 19 I. G. 13. United Kingdom Private 22423Duke of Wellington's (West Riding Regiment)20/07/1918 Sp. Mem. 4. United Kingdom Lance Corporal 14426Gordon Highlanders23/07/1917 Age: 21 VII. C. 4. United Kingdom Second Lieutenant West Yorkshire Regiment (Prince of Wales's Own)20/07/1917 Age: 35 X. J 4. United Kingdom Private S/21047Seaforth Highlanders20/07/1918 I. A. 12. United Kingdom Private 89034Royal Army Medical Corps06/06/1917 Age: 21 V. H. 6. United Kingdom Corporal 306486West Yorkshire Regiment (Prince of Wales's Own)20/07/1917 Age: 26 IX. A. 11. United Kingdom Private 11760Hampshire Regiment20/07/1917 Age: 24 I. B. 13. United Kingdom Private S/23955Seaforth Highlanders20/07/1918 I. A. 13. United Kingdom Private 266863Seaforth Highlanders23/07/1917 Age: 27 IV. C. 8. United Kingdom Private 10995East Lancashire Regiment11/06/1917 Age: 21 I. A. 3. United Kingdom Private 201906West Yorkshire Regiment (Prince of Wales's Own)20/07/1918 III. B. 10. United Kingdom Rifleman 60639West Yorkshire Regiment (Prince of Wales's Own)20/07/1917 Age: 19 V. B. 10/13. United Kingdom Private S/41830Seaforth Highlanders27/07/1918 IV. D. 10. United Kingdom Lance Corporal 203928Seaforth Highlanders23/07/1918 III. I. 10. United Kingdom Captain Gordon Highlanders20/07/1917 Age: 34 I. B. 6. United Kingdom Private 56911West Yorkshire Regiment (Prince of Wales's Own)20/07/1918 II. I. 10. United Kingdom Private 54604West Yorkshire Regiment (Prince of Wales's Own)20/07/1918 II. F. 6. United Kingdom Rifleman 27583West Yorkshire Regiment (Prince of Wales's Own)20/07/1918 IV. AA. 6. United Kingdom Second Lieutenant Machine Gun Corps (Infantry)09/06/1917 Age: 34 VI. D. 8. United Kingdom Company Serjeant Major 240356Seaforth Highlanders27/07/1917 Age: 37 III. I. 7. United Kingdom Private 202609Duke of Wellington's (West Riding Regiment)20/07/1918 VII. I. 7/9. United Kingdom Private 47184Royal Scots23/07/1917 Age: 19 V. C. 7. United Kingdom Gunner 202740Royal Field Artillery29/07/1918 IV. H. 7. United Kingdom Private 21/649West Yorkshire Regiment (Prince of Wales's Own)20/07/1918 II. E. 5. United Kingdom Private 136914Machine Gun Corps (Infantry)06/06/1917 Age: 19 V. I. 6. United Kingdom Private 57192Lancashire Fusiliers28/05/1918 XI. E. 1. United Kingdom Private 202113West Yorkshire Regiment (Prince of Wales's Own)20/07/1917 Age: 22 II. E. 3. United Kingdom Rifleman 53882West Yorkshire Regiment (Prince of Wales's Own)20/07/1917 Age: 19 III. J. 6. United Kingdom Private 37822Royal Warwickshire Regiment30/05/1918 V. G. 9. United Kingdom Second Lieutenant Royal Field Artillery08/06/1918 VII. D. 1. United Kingdom Private 241261Devonshire Regiment20/07/1918 III. A. 4. United Kingdom Private 51959West Yorkshire Regiment (Prince of Wales's Own)20/07/1918 II. D. 8. United Kingdom Lance Corporal 204678Seaforth Highlanders23/07/1917 Age: 28 IV. G. 3. United Kingdom Private 263046Northumberland Fusiliers07/06/1918 VII. H. 4. United Kingdom Rifleman 59419West Yorkshire Regiment (Prince of Wales's Own)20/07/1918 X. H. 5. United Kingdom Private S/20015Gordon Highlanders26/07/1917 Age: 40 VI. A. 1. United Kingdom Private 240896Devonshire Regiment20/07/1917 Age: 20 III. E. 6. United Kingdom Lance Corporal 306895West Yorkshire Regiment (Prince of Wales's Own)20/07/1918 X. F. 1. United Kingdom Private 241185Devonshire Regiment20/07/1917 Age: 24 I. E. 11. United Kingdom Rifleman 59411West Yorkshire Regiment (Prince of Wales's Own)20/07/1918 VIII. D. 10. United Kingdom Private 242599Duke of Wellington's (West Riding Regiment)20/07/1918 VII. A. 9. United Kingdom Captain Devonshire Regiment20/07/1917 Age: 24 I. H. 10. United Kingdom Lance Serjeant 310251Gordon Highlanders26/07/1917 Age: 27 V. A. 5. United Kingdom Driver T4/069975Army Service Corps28/05/1918 V. D. 1. United Kingdom Private 50884Lancashire Fusiliers28/05/1917 Age: 18 IX. D. 2. United Kingdom Lance Corporal 306886West Yorkshire Regiment (Prince of Wales's Own)20/07/1917 Age: 27 X. I. 3. United Kingdom Lance Corporal 266042Duke of Wellington's (West Riding Regiment)20/07/1917 Age: 29 II. A. 3. United Kingdom Rifleman 61000West Yorkshire Regiment (Prince of Wales's Own)20/07/1917 Age: 19 IV. AA. 1. United Kingdom Private 36779Northumberland Fusiliers12/06/1918 VII. A. 4. United Kingdom Private 57017West Yorkshire Regiment (Prince of Wales's Own)20/07/1917 Age: 26 I. F. 13. United Kingdom Private S/41991Seaforth Highlanders20/07/1917 Age: 19 II. A. 8. United Kingdom Private 58559Machine Gun Corps (Infantry)01/06/1918 I. BB. 8. United Kingdom Private 20400West Yorkshire Regiment (Prince of Wales's Own)20/07/1918 II. J. 3. United Kingdom Private 12341Hampshire Regiment20/07/1918 III. D. 7. United Kingdom Corporal 103415Royal Engineers09/06/1918 IV. H. 4. United Kingdom Private 240512Devonshire Regiment22/07/1918 VII. B. 8. United Kingdom Private 235569Leicestershire Regiment27/05/1918 I. C. 4. United Kingdom Private 381259Hampshire Regiment21/07/1917 Age: 19 III. E. 1. United Kingdom Private 202745Hampshire Regiment25/07/1917 Age: 32 I. D. 7. United Kingdom Gunner 17085Royal Field Artillery18/07/1918 I. F. 2. United Kingdom Private 326124Argyll and Sutherland Highlanders20/07/1918 IV. I. 4. United Kingdom Private 81245Durham Light Infantry27/05/1918 V. B. 3. United Kingdom Private 53110Royal Scots21/07/1918 VI. B. 2. United Kingdom Private 42303Royal Berkshire Regiment03/06/1918 VII. D. 7. United Kingdom Private 14017South Wales Borderers13/06/1918 VII. A. 5. United Kingdom Lance Corporal 35486Lancashire Fusiliers30/05/1917 Age: 18 I. F. 3. United Kingdom Rifleman 60332West Yorkshire Regiment (Prince of Wales's Own)20/07/1918 X. J. 8. United Kingdom Lieutenant Gordon Highlanders23/07/1917 Age: 21 II. B. 9. United Kingdom Private 18990North Staffordshire Regiment06/06/1918 VIII. F. 3. United Kingdom Private 70421Devonshire Regiment28/05/1918 V. D. 2. United Kingdom Sapper 402951Royal Engineers27/05/1917 Age: 29 Vaux Varennes French Mil. Cem. 3. United Kingdom Private 26323Duke of Wellington's (West Riding Regiment)20/07/1918 III. C. 6. United Kingdom Private S/24233Seaforth Highlanders28/07/1917 Age: 19 IV. E. 8. United Kingdom Private S/41375Seaforth Highlanders21/07/1918 IV. G. 6. United Kingdom Private 207285Worcestershire Regiment27/05/1918 X. D. 6. United Kingdom Lance Corporal 266368West Yorkshire Regiment (Prince of Wales's Own)20/07/1917 Age: 32 VI. J. 3. United Kingdom Rifleman 305922West Yorkshire Regiment (Prince of Wales's Own)20/07/1918 X. I. 5. United Kingdom Private 203496Gordon Highlanders23/07/1917 Age: 32 III. H. 1. United Kingdom Rifleman 58755West Yorkshire Regiment (Prince of Wales's Own)28/07/1917 Age: 19 VIII. F. 2. United Kingdom Lance Corporal 325244Royal Scots21/07/1918 VI. B. 3. United Kingdom Private 62507King's Own Yorkshire Light Infantry27/07/1917 Age: 18 IV. H. 10. United Kingdom Private 202555Hampshire Regiment23/07/1918 III. D. 1. United Kingdom Private S/21847Gordon Highlanders21/07/1917 Age: 19 II. B. 1. United Kingdom Private 29649East Yorkshire Regiment28/05/1918 V. E. 1. United Kingdom Rifleman 59178West Yorkshire Regiment (Prince of Wales's Own)20/07/1917 Age: 19 III. G. 2. United Kingdom Private 133975Machine Gun Corps (Infantry)27/05/1918 VI. G. 2. United Kingdom Private 27774Royal Warwickshire Regiment07/06/1918 VII. G. 1. United Kingdom Private 241389Worcestershire Regiment31/05/1918 I. AA. 6. United Kingdom Private 267402Duke of Wellington's (West Riding Regiment)20/07/1917 Age: 26 I. C. 11. United Kingdom Second Lieutenant West Yorkshire Regiment (Prince of Wales's Own)20/07/1917 Age: 24 X. G. 8. United Kingdom Second Lieutenant West Yorkshire Regiment (Prince of Wales's Own)20/07/1918 II. H. 6. United Kingdom Private 306269West Yorkshire Regiment (Prince of Wales's Own)20/07/1917 Age: 20 II. J. 4. United Kingdom Driver 73050Royal Field Artillery31/05/1918 VII. G. 3. United Kingdom Private 105956Machine Gun Corps (Infantry)20/07/1917 Age: 25 V. E. 5. United Kingdom Private 13672Leicestershire Regiment29/05/1918 I. BB. 7. United Kingdom Private S/24514Seaforth Highlanders23/07/1917 Age: 19 III. I. 9. United Kingdom Rifleman 235266West Yorkshire Regiment (Prince of Wales's Own)20/07/1917 Age: 39 III. J. 9. United Kingdom Private 23142North Staffordshire Regiment17/06/1918 VI. F. 8. United Kingdom Lieutenant Royal Welsh Fusiliers30/05/1917 Age: 22 VII. E. 10. United Kingdom Driver 81542Royal Field Artillery09/06/1918 IV. H. 3. United Kingdom Private 33453Duke of Wellington's (West Riding Regiment)20/07/1917 Age: 20 VI. A. 10. United Kingdom Second Lieutenant West Yorkshire Regiment (Prince of Wales's Own)20/07/1917 Age: 23 I. F. 11. United Kingdom Private 22516Duke of Wellington's (West Riding Regiment)23/07/1917 Age: 19 V. K. 2. United Kingdom Private 17/309West Yorkshire Regiment (Prince of Wales's Own)20/07/1918 I. D. 5. United Kingdom Serjeant 241960West Yorkshire Regiment (Prince of Wales's Own)20/07/1918 I. F. 14. United Kingdom Private 41252West Yorkshire Regiment (Prince of Wales's Own)20/07/1918 II. D. 1. United Kingdom Private 331028Lancashire Fusiliers28/05/1918 IX. H. 1. United Kingdom Private 28213King's Shropshire Light Infantry30/05/1918 VII. E. 7. United Kingdom Private 22430Duke of Wellington's (West Riding Regiment)20/07/1917 Age: 19 II. H. 8. United Kingdom Private S/9083Argyll and Sutherland Highlanders20/07/1917 Age: 25 II. C. 9. United Kingdom Corporal 325149Durham Light Infantry23/07/1918 IV. B. 10. United Kingdom Private 29619Hampshire Regiment20/07/1918 I. B. 12. United Kingdom Private 260253Seaforth Highlanders25/07/1917 Age: 19 III. I. 5. United Kingdom Private 41857Worcestershire Regiment27/05/1918 IX. B. 1. New Zealand Private 63124New Zealand Entrenching Battalion N.Z.E.F.28/06/1917 Age: 31 I. I. 2. United Kingdom Private 52257West Yorkshire Regiment (Prince of Wales's Own)28/07/1917 Age: 20 V. F. 13. United Kingdom Private S/21858Gordon Highlanders19/07/1917 Age: 19 V. E. 11. United Kingdom Private 38260Royal Warwickshire Regiment31/05/1917 Age: 19 VIII. G. 2. United Kingdom Private 11146Hampshire Regiment20/07/1917 Age: 23 I. E. 10. United Kingdom Private 67488Devonshire Regiment28/07/1918 VIII. F. 1. United Kingdom Private 27712West Yorkshire Regiment (Prince of Wales's Own)20/07/1918 II. E. 6. United Kingdom Gunner 33055Royal Field Artillery02/06/1918 VII. D. 8. United Kingdom Lance Corporal 292429Gordon Highlanders26/07/1918 IV. I. 2. United Kingdom Lance Corporal 38587Duke of Wellington's (West Riding Regiment)20/07/1917 Age: 19 Sp. Mem. 3. United Kingdom Private S/21440Seaforth Highlanders27/07/1918 IV. D. 8. United Kingdom Rifleman 58666West Yorkshire Regiment (Prince of Wales's Own)20/07/1917 Age: 19 X. H. 2. United Kingdom Private 67489Devonshire Regiment20/07/1917 Age: 19 I. D. 10. United Kingdom Driver 5588Royal Field Artillery05/06/1917 Age: 23 IV. H. 9. United Kingdom Private 41930West Yorkshire Regiment (Prince of Wales's Own)20/07/1918 I. G. 10. United Kingdom Private S/23578Gordon Highlanders23/07/1917 Age: 18 V. B. 7. United Kingdom Private S/22959Argyll and Sutherland Highlanders20/07/1918 IV. C. 3/4. United Kingdom Private 2050Lincolnshire Regiment31/05/1917 Age: 23 Sapicourt French Mil. Cem. 2. United Kingdom Lance Corporal S/40572Argyll and Sutherland Highlanders23/07/1917 Age: 25 V. D. 12. United Kingdom Private 201368Seaforth Highlanders23/07/1918 VI. C. 7. United Kingdom Private 142098Machine Gun Corps (Infantry)27/05/1918 V. B. 2. United Kingdom Private 38687South Staffordshire Regiment05/06/1918 V. I. 1. United Kingdom Private S/41870Seaforth Highlanders21/07/1918 VIII. C. 7. United Kingdom Private 202505Durham Light Infantry29/05/1918 I. J. 4. New Zealand Lance Serjeant 10807New Zealand Cyclist Battalion23/07/1918 VII. B. 10. United Kingdom Private 204879Duke of Wellington's (West Riding Regiment)20/07/1918 III. D. 3. United Kingdom Private 205407Duke of Wellington's (West Riding Regiment)20/07/1917 Age: 27 I. E. 8. United Kingdom Serjeant 32644Machine Gun Corps (Infantry)30/05/1918 VII. B. 1. United Kingdom Private 306774Duke of Wellington's (West Riding Regiment)20/07/1917 Age: 25 II. G. 1. United Kingdom Private 268644West Yorkshire Regiment (Prince of Wales's Own)20/07/1918 III. B. 9. United Kingdom Private 51016Cheshire Regiment06/06/1917 Age: 25 II. E. 4. United Kingdom Private 29475The Loyal North Lancashire Regiment30/05/1918 Baslieux German Mil. Cem. 1. United Kingdom Private 39808Wiltshire Regiment18/06/1918 I. H. 3. United Kingdom Private 67006Sherwood Foresters (Notts and Derby Regiment)06/06/1917 Age: 26 VIII. I. 5. United Kingdom Driver 60981Royal Engineers09/06/1917 Age: 36 IV. H. 5. United Kingdom Second Lieutenant West Yorkshire Regiment (Prince of Wales's Own)01/06/1917 Age: 22 VIII. J. 1. United Kingdom Private 52265West Yorkshire Regiment (Prince of Wales's Own)20/07/1918 I. D. 12. United Kingdom Gunner 775813Royal Field Artillery26/07/1918 X. F. 9/10. United Kingdom Gunner 841078Royal Field Artillery31/05/1918 II. H. 7. United Kingdom Private 133301Machine Gun Corps (Infantry)07/06/1917 Age: 19 VI. G. 10. United Kingdom Private S/20322Gordon Highlanders23/07/1918 VIII. C. 9. United Kingdom Private 53134Royal Scots21/07/1918 VI. B. 1. United Kingdom Lance Corporal S/41469Gordon Highlanders26/07/1917 Age: 20 VIII. B. 2. United Kingdom Private 277159Argyll and Sutherland Highlanders20/07/1918 IV. I. 5. United Kingdom Private 202023Duke of Wellington's (West Riding Regiment)20/07/1917 Age: 24 III. G. 1. United Kingdom Private 202336Duke of Wellington's (West Riding Regiment)20/07/1917 Age: 22 I. H. 7. United Kingdom Private 335587Royal Scots23/07/1918 IV. B. 1. United Kingdom Captain Royal Engineers10/06/1917 Age: 33 VI. H. 9. United Kingdom Gunner 810614Royal Field Artillery01/06/1917 Age: 22 IV. D. 3. United Kingdom Private S/41601Seaforth Highlanders20/07/1918 III. H. 7. United Kingdom Corporal 1681Seaforth Highlanders20/07/1917 Age: 21 VI. C. 2. United Kingdom Private 202748York and Lancaster Regiment20/07/1917 Age: 33 IX. A. 3. United Kingdom Private 9560Lincolnshire Regiment14/09/1914 Age: 20 XI. E. 6. United Kingdom Private 57472Lincolnshire Regiment27/05/1917 Age: 22 Montigny-sur-Vesle Mil. Cem. 3. United Kingdom Private 205662King's Own Yorkshire Light Infantry20/07/1918 VII. B. 6. United Kingdom Private 29280The Loyal North Lancashire Regiment27/05/1917 Age: 22 V. A. 1. United Kingdom Captain King's Own Yorkshire Light Infantry27/05/1917 Age: 27 V. C. 1. United Kingdom Gunner 224384Royal Field Artillery01/06/1917 Age: 28 IV. D. 4. United Kingdom Private S/19959Black Watch (Royal Highlanders)31/07/1917 Age: 21 VI. E. 1. New Zealand Second Lieutenant 11583New Zealand Entrenching Battalion N.Z.E.F.23/07/1918 I. A. 15. United Kingdom Captain Devonshire Regiment20/07/1917 Age: 23 I. E. 14. New Zealand Lance Corporal 10819New Zealand Cyclist Battalion23/07/1917 Age: 23 IV. E. 3. United Kingdom Private 202765Gordon Highlanders19/07/1918 II. B. 2. United Kingdom Private 268360Duke of Wellington's (West Riding Regiment)20/07/1917 Age: 23 I. E. 7. United Kingdom Private S/23998Seaforth Highlanders27/07/1918 IV. E. 7. United Kingdom Private 90980Durham Light Infantry25/06/1917 Age: 19 I. G. 4. United Kingdom Corporal 32978King's Own Yorkshire Light Infantry27/07/1918 III. H. 8. United Kingdom Private S/23579Gordon Highlanders23/07/1918 V. B. 9. United Kingdom Private 21491Devonshire Regiment20/07/1918 II. G. 4. 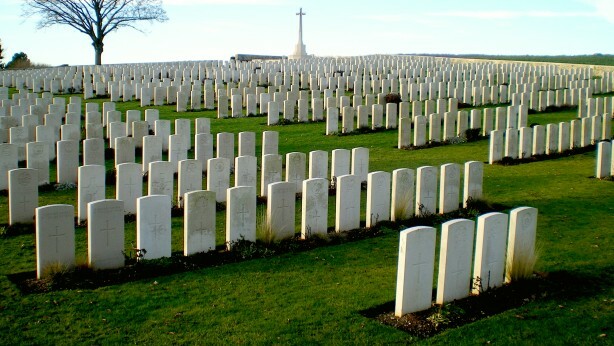 United Kingdom Private 18/322Northumberland Fusiliers27/05/1917 Age: 26 Vaux-Varennes French Mil. Cem. 2. United Kingdom Rifleman 59450West Yorkshire Regiment (Prince of Wales's Own)20/07/1917 Age: 18 X. H. 10. United Kingdom Private 67514Devonshire Regiment20/07/1918 I. I. 14. United Kingdom Private 252102Argyll and Sutherland Highlanders20/07/1918 IV. C. 3/4. United Kingdom Private 42140Leicestershire Regiment29/05/1917 Age: 18 V. H. 3. United Kingdom Private 238036Duke of Wellington's (West Riding Regiment)20/07/1918 III. D. 6. United Kingdom Private 202437Hampshire Regiment20/07/1917 Age: 22 II. G. 2. United Kingdom Lance Corporal 1169West Yorkshire Regiment (Prince of Wales's Own)20/07/1917 Age: 20 X. I. 2. United Kingdom Private S/10991Seaforth Highlanders25/07/1918 I. I. 13. United Kingdom Corporal 200264Durham Light Infantry27/05/1917 Age: 30 VII. J. 10. United Kingdom Corporal 238047West Yorkshire Regiment (Prince of Wales's Own)20/07/1917 Age: 26 III. G. 7. United Kingdom Private 53797Royal Army Medical Corps06/06/1918 V. H. 7. United Kingdom Serjeant 200005Durham Light Infantry09/06/1917 Age: 30 VII. A. 2. United Kingdom Private 203587West Yorkshire Regiment (Prince of Wales's Own)20/07/1918 III. J. 2. United Kingdom Private 39656Worcestershire Regiment06/06/1917 Age: 27 VIII. I. 8. United Kingdom Private 201978Seaforth Highlanders20/07/1917 Age: 32 I. J. 13. United Kingdom Private 48547Lancashire Fusiliers27/05/1917 Age: 18 IX. F. 4. United Kingdom Private 202574Middlesex Regiment30/05/1917 Age: 20 I. C. 5. United Kingdom Corporal 402220Royal Engineers23/07/1918 I. I. 10. United Kingdom Lance Corporal 200731Seaforth Highlanders23/07/1917 Age: 23 III. H. 4. United Kingdom Private 200826Durham Light Infantry23/07/1918 X. H. 11. United Kingdom Private 13350Royal Scots23/07/1917 Age: 23 V. C. 6. United Kingdom Private 42255Worcestershire Regiment31/05/1918 II. AA. 2. United Kingdom Corporal 240150Devonshire Regiment20/07/1917 Age: 26 I. G. 6. United Kingdom Private 69761Northumberland Fusiliers24/05/1918 IV. BB. 3. United Kingdom Private 34842North Staffordshire Regiment17/06/1917 Age: 22 VI. F. 9. United Kingdom Private 235628Gordon Highlanders19/07/1918 V. E. 12. United Kingdom Lance Corporal 202840Seaforth Highlanders20/07/1917 Age: 20 III. A. 1. United Kingdom Serjeant 630327Royal Field Artillery29/07/1918 V. H. 13. United Kingdom Private 39291Border Regiment27/05/1918 Sapicourt French Mil. Cem. 1. United Kingdom Lance Serjeant 201742West Yorkshire Regiment (Prince of Wales's Own)20/07/1917 Age: 21 VII. B. 3. United Kingdom Private 22329Wiltshire Regiment16/06/1918 VII. E. 6. United Kingdom Private 27986Wiltshire Regiment12/06/1918 V. F. 3. United Kingdom Private 34580South Wales Borderers07/06/1918 VIII. H. 3. United Kingdom Second Lieutenant Gordon Highlanders27/07/1918 I. I. 7. United Kingdom Private 306849Duke of Wellington's (West Riding Regiment)20/07/1918 III. C. 5. United Kingdom Private 46902Northamptonshire Regiment28/05/1917 Age: 27 I. B. 1. United Kingdom Private 61885West Yorkshire Regiment (Prince of Wales's Own)20/07/1918 II. J. 10. United Kingdom Private 205620Duke of Wellington's (West Riding Regiment)20/07/1917 Age: 21 IV. A. 5. United Kingdom Driver 650548Royal Field Artillery20/07/1918 VI. B. 7. United Kingdom Serjeant 18/29West Yorkshire Regiment (Prince of Wales's Own)20/07/1918 X. G. 7. United Kingdom Private 401294Royal Army Medical Corps08/06/1918 VI. H. 10. United Kingdom Serjeant 204495Duke of Wellington's (West Riding Regiment)20/07/1918 III. BB. 3. United Kingdom Lance Corporal 3/10926Duke of Wellington's (West Riding Regiment)20/07/1918 Sp. Mem. 7. United Kingdom Private 242253Seaforth Highlanders23/07/1918 I. J. 6. United Kingdom Private 35807King's Shropshire Light Infantry06/06/1918 VIII. G. 10. United Kingdom Private 355831Hampshire Regiment20/07/1918 I. H. 12. United Kingdom Lieutenant Manchester Regiment28/05/1917 Age: 20 V. E. 3. United Kingdom Gunner 19476Royal Field Artillery06/06/1917 Age: 22 VII. H. 1. United Kingdom Private 20866West Yorkshire Regiment (Prince of Wales's Own)20/07/1917 Age: 20 I. D. 9. United Kingdom Private 32803Duke of Wellington's (West Riding Regiment)20/07/1918 III. B. 6. United Kingdom Serjeant 18957Army Service Corps27/05/1917 Age: 35 V. I. 3. United Kingdom 2nd Corporal 57274Royal Engineers30/05/1917 Age: 25 I. J. 3. United Kingdom Lance Corporal 313097Gordon Highlanders26/07/1917 Age: 19 VI. A. 3. United Kingdom Rifleman 3/8754West Yorkshire Regiment (Prince of Wales's Own)20/07/1918 X. G. 2. United Kingdom Private 205436Devonshire Regiment20/07/1918 I. D. 11. United Kingdom Private 335719Royal Scots23/07/1918 VIII. B. 9. United Kingdom Private 42084West Yorkshire Regiment (Prince of Wales's Own)20/07/1918 I. E. 12. United Kingdom Private 26930Duke of Wellington's (West Riding Regiment)20/07/1918 IV. A. 4. United Kingdom Private 28383Duke of Wellington's (West Riding Regiment)20/07/1918 IV. C. 1. United Kingdom Private 352567Royal Army Medical Corps27/05/1917 Age: 28 V. B. 1. United Kingdom Corporal S/15938Seaforth Highlanders20/07/1917 Age: 20 V. E. 4. United Kingdom Lance Corporal 26599Wiltshire Regiment15/06/1918 VI. H. 7. United Kingdom Corporal 201289Seaforth Highlanders20/07/1917 Age: 24 III. A. 6. United Kingdom Driver 5526Royal Field Artillery05/06/1917 Age: 32 VIII. G. 5. United Kingdom Second Lieutenant Argyll and Sutherland Highlanders20/07/1917 Age: 27 I. I. 8. United Kingdom Private G/40399Middlesex Regiment29/05/1918 I. G. 3. United Kingdom Serjeant 265607Duke of Wellington's (West Riding Regiment)24/07/1918 V. I. 2. United Kingdom Private 22485Duke of Wellington's (West Riding Regiment)20/07/1918 I. H. 14. United Kingdom Gunner 136045Royal Field Artillery01/06/1918 VI B 9. United Kingdom Second Lieutenant Royal Scots21/07/1917 Age: 36 VI. B. 5. United Kingdom Private 235144Seaforth Highlanders26/07/1918 V. B. 14. United Kingdom Private 313108Gordon Highlanders26/07/1918 V. A. 6. United Kingdom Private 127047Machine Gun Corps (Infantry)04/06/1917 Age: 19 V. G. 11. United Kingdom Private 33035Duke of Wellington's (West Riding Regiment)20/07/1918 II. BB. 4. United Kingdom Private ( Signaller ) 240405West Yorkshire Regiment (Prince of Wales's Own)20/07/1917 Age: 27 X. H. 6. United Kingdom Private 18762Sherwood Foresters (Notts and Derby Regiment)06/06/1917 Age: 23 VIII. I. 4. New Zealand Private 59654New Zealand Cyclist Battalion23/07/1918 III. B. 3. United Kingdom Corporal 10/971East Yorkshire Regiment19/06/1918 I. E. 3. United Kingdom Private 202717Seaforth Highlanders20/07/1917 Age: 35 IV. A. 10. United Kingdom Private S/24068Seaforth Highlanders22/07/1917 Age: 18 I. J. 7. United Kingdom Private 204109Worcestershire Regiment07/06/1918 V. G. 3. United Kingdom Company Serjeant Major 240222Duke of Wellington's (West Riding Regiment)23/07/1918 X. I. 4. United Kingdom Private 241628York and Lancaster Regiment27/07/1917 Age: 19 VIII. D. 3. United Kingdom Private 330318Royal Scots23/07/1918 VIII. B. 10. United Kingdom Lieutenant South Lancashire Regiment05/06/1917 Age: 24 VII. D. 5. United Kingdom Lance Corporal 41662South Wales Borderers09/06/1918 VIII. H. 7. United Kingdom Private 31072East Lancashire Regiment30/05/1918 I. A. 1. United Kingdom Rifleman 61903West Yorkshire Regiment (Prince of Wales's Own)20/07/1917 Age: 18 VIII. A. 8. United Kingdom Private 57949Royal Welsh Fusiliers31/05/1917 Age: 19 I. G. 1. United Kingdom Private 66364Northumberland Fusiliers27/05/1917 Age: 19 V. C. 4. United Kingdom Private 41987West Yorkshire Regiment (Prince of Wales's Own)20/07/1917 Age: 20 II. J. 6. United Kingdom Private 301181Argyll and Sutherland Highlanders23/07/1917 Age: 20 II. F. 8. United Kingdom Private 202388Hampshire Regiment20/07/1917 Age: 39 III. B. 8. United Kingdom Private S/42219Seaforth Highlanders21/07/1918 I. J. 10. United Kingdom Private 288059Gordon Highlanders26/07/1918 VIII. B. 7. United Kingdom Shoeing Smith 29987Royal Field Artillery09/06/1917 Age: 23 IV. D. 1. United Kingdom Private 41565South Wales Borderers07/06/1917 Age: 19 VI. F. 4. United Kingdom Private S/21806Seaforth Highlanders24/07/1917 Age: 19 III. I. 4. United Kingdom Serjeant 200570Seaforth Highlanders20/07/1917 Age: 29 VI. C. 1. United Kingdom Driver T2/13605Army Service Corps27/05/1918 V. I. 3. United Kingdom Lance Corporal S/21211Gordon Highlanders19/07/1917 Age: 19 VI. E. 7. United Kingdom Private 5961Army Cyclist Corps27/05/1918 II. AA. 10. United Kingdom Serjeant 11076Gordon Highlanders23/07/1917 Age: 28 III. H. 2. United Kingdom Rifleman 53941West Yorkshire Regiment (Prince of Wales's Own)20/07/1917 Age: 19 X. I. 10. United Kingdom Private 30510Duke of Wellington's (West Riding Regiment)20/07/1918 I. D. 13. United Kingdom Private 32102Border Regiment13/06/1918 I. J. 2. United Kingdom Rifleman 57036West Yorkshire Regiment (Prince of Wales's Own)20/07/1917 Age: 20 X. J. 2. United Kingdom Private 240798Northumberland Fusiliers03/06/1918 Lagery German Cem. Memorial 1. United Kingdom Private S/41616Seaforth Highlanders20/07/1917 Age: 19 II. A. 10. United Kingdom Private 25285Seaforth Highlanders25/07/1917 Age: 19 I. I. 6. United Kingdom Private 203213Seaforth Highlanders23/07/1918 IV. F. 315. United Kingdom Private 253031Argyll and Sutherland Highlanders25/07/1918 II. F. 7. United Kingdom Private 202332Hampshire Regiment25/07/1918 I. H. 5. United Kingdom Rifleman 53679West Yorkshire Regiment (Prince of Wales's Own)20/07/1917 Age: 18 V. B. 10/13. United Kingdom Commander 10349French Red Cross Society29/05/1917 Age: 31 V. E. 9. United Kingdom Private 18904Duke of Wellington's (West Riding Regiment)22/07/1917 Age: 22 X. G. 5. United Kingdom Lance Corporal S/11752Argyll and Sutherland Highlanders23/07/1917 Age: 30 VI. C. 10. New Zealand Trooper 16053Otago Mounted Rifles N.Z.E.F.21/07/1918 V. E 7. United Kingdom Private 51912King's Own Yorkshire Light Infantry27/07/1918 III. H. 5. United Kingdom Private 326678Argyll and Sutherland Highlanders20/07/1918 IV. I. 7. United Kingdom Private S/18422South Wales Borderers30/05/1917 Age: 22 VIII. J. 8 . United Kingdom Private 42096Royal Army Medical Corps04/06/1918 VII. G. 9. United Kingdom Driver 30421Royal Field Artillery03/06/1917 Age: 23 VII. G. 10. United Kingdom Private 57884West Yorkshire Regiment (Prince of Wales's Own)20/07/1917 Age: 33 I. A. 8. United Kingdom Private 307642Duke of Wellington's (West Riding Regiment)20/07/1917 Age: 28 Sp. Mem. 6. United Kingdom Private 202848Seaforth Highlanders23/07/1917 Age: 23 VIII. D. 4. United Kingdom Private 31552Duke of Wellington's (West Riding Regiment)22/07/1918 VIII. E. 9. United Kingdom Rifleman 32976West Yorkshire Regiment (Prince of Wales's Own)20/07/1918 III. J. 10. United Kingdom Private 32723Duke of Wellington's (West Riding Regiment)20/07/1917 Age: 30 I. E. 9. United Kingdom Private S/5356Seaforth Highlanders20/07/1918 III. A. 7. United Kingdom Private 53098Worcestershire Regiment27/05/1918 V. A. 2. United Kingdom Private 53682West Yorkshire Regiment (Prince of Wales's Own)20/07/1917 Age: 18 VII. B. 4. United Kingdom Gunner 108449Royal Field Artillery29/07/1918 IV. H. 1. United Kingdom Private 241467Duke of Wellington's (West Riding Regiment)25/07/1917 Age: 28 V. K. 3. United Kingdom Private 41623Seaforth Highlanders23/07/1917 Age: 19 IV. F. 3/5. United Kingdom Private 64800Royal Army Medical Corps21/07/1918 I. E. 2. United Kingdom Private 203218Duke of Wellington's (West Riding Regiment)20/07/1917 Age: 28 III. F. 9. United Kingdom Private 17048Duke of Wellington's (West Riding Regiment)20/07/1918 VII. A. 7. United Kingdom Lieutenant Gordon Highlanders20/07/1917 Age: 23 II. I. 7. United Kingdom Lance Corporal 292305Gordon Highlanders26/07/1917 Age: 24 VI. C. 4. United Kingdom Private 58964West Yorkshire Regiment (Prince of Wales's Own)20/07/1917 Age: 19 III. J. 4. United Kingdom Serjeant 201566West Yorkshire Regiment (Prince of Wales's Own)20/07/1918 II. B. 4. United Kingdom Driver 208978Royal Field Artillery01/06/1917 Age: 19 VIII. G. 3. United Kingdom Private 205047Hampshire Regiment23/07/1917 Age: 39 II. F 3. United Kingdom Private S/41478Seaforth Highlanders21/07/1917 Age: 20 Sp. Mem. 8. United Kingdom Corporal S/22585Gordon Highlanders23/07/1917 Age: 18 III. H. 6. United Kingdom Corporal S/25582Seaforth Highlanders28/07/1917 Age: 20 IV. J. 7. United Kingdom Corporal S/25587Seaforth Highlanders23/07/1917 Age: 19 III. H. 3. United Kingdom Private S/42095Seaforth Highlanders21/07/1918 IV. G. 7. United Kingdom Serjeant 49134Royal Engineers09/06/1917 Age: 25 IV. E. 10. United Kingdom Private S/23778Argyll and Sutherland Highlanders20/07/1918 IV. I. 8. United Kingdom Private 39103King's Own Yorkshire Light Infantry27/07/1917 Age: 23 III. BB. 1. United Kingdom Second Lieutenant Seaforth Highlanders20/07/1917 Age: 20 III. A. 8. United Kingdom Private S/42018Seaforth Highlanders23/07/1918 VI. C. 9. United Kingdom Private 260387Worcestershire Regiment06/06/1918 VI. G. 9. United Kingdom Private 67157Devonshire Regiment20/07/1918 II. E. 2. United Kingdom Private 67543Devonshire Regiment20/07/1918 III. G. 10. United Kingdom Rifleman 61706West Yorkshire Regiment (Prince of Wales's Own)20/07/1917 Age: 19 X. J. 7. United Kingdom Rifleman 53687West Yorkshire Regiment (Prince of Wales's Own)20/07/1917 Age: 18 X. G. 10. United Kingdom Private S/43893Gordon Highlanders23/07/1918 V. D. 5. United Kingdom Private 260258Seaforth Highlanders23/07/1917 Age: 19 III. I. 8. United Kingdom Private 203161Seaforth Highlanders20/07/1917 Age: 19 II. H. 3. United Kingdom Private 29964South Wales Borderers01/06/1917 Age: 19 VII. G. 7. United Kingdom Private 43333Royal Warwickshire Regiment30/05/1917 Age: 31 V. J. 10. United Kingdom Private S/42163Gordon Highlanders23/07/1917 Age: 19 VIII. C. 10. United Kingdom Corporal 200581Seaforth Highlanders28/07/1917 Age: 24 IV. F. 8. United Kingdom Lieutenant Seaforth Highlanders20/07/1918 IV. A. 9. United Kingdom Private 241436Seaforth Highlanders20/07/1917 Age: 31 VIII. D. 5. United Kingdom Corporal 276406Argyll and Sutherland Highlanders20/07/1918 IV. I. 6. United Kingdom Private S/22023Gordon Highlanders26/07/1918 V. A. 11. United Kingdom Private S/42156Gordon Highlanders23/07/1917 Age: 18 VII. C. 3. United Kingdom Private 266806Seaforth Highlanders27/07/1917 Age: 38 I. I. 12. United Kingdom Private S/42152Gordon Highlanders23/07/1917 Age: 18 VII. C. 7. United Kingdom Serjeant 265063Seaforth Highlanders28/07/1917 Age: 24 IV. J. 6. United Kingdom Private 203044Yorkshire Regiment27/05/1917 Age: 23 IX. B. 6. United Kingdom Private 203812Seaforth Highlanders27/07/1917 Age: 19 IV. D. 9. United Kingdom Private S/24024Seaforth Highlanders21/07/1918 III. A. 10. United Kingdom Private S/17614Seaforth Highlanders23/07/1918 IV. C. 7. United Kingdom Lance Corporal S/40631Argyll and Sutherland Highlanders10/08/1917 Age: 38 VII. B. 5. United Kingdom Private 204280Seaforth Highlanders20/07/1918 V. D. 4. United Kingdom Private 235372Seaforth Highlanders20/07/1917 Age: 19 I. J. 12. United Kingdom Private 348014Royal Scots23/07/1918 VI. A. 2. United Kingdom Private 266218Black Watch (Royal Highlanders)27/07/1917 Age: 34 VIII. J. 5. United Kingdom Private 242279Seaforth Highlanders26/07/1918 IV. E. 6. New Zealand Private 51865New Zealand Cyclist Battalion23/07/1917 Age: 25 III. F. 6. United Kingdom Private 265999Seaforth Highlanders23/07/1918 VIII. C. 6. United Kingdom Lance Bombardier 631823Royal Field Artillery29/07/1917 Age: 25 VI. H. 3. United Kingdom Private 132544Machine Gun Corps (Infantry)03/06/1918 I. C. 2. United Kingdom Lance Corporal 325492Argyll and Sutherland Highlanders20/07/1917 Age: 20 VI. A. 4. United Kingdom Private S/17912Seaforth Highlanders23/07/1918 III. H. 9. United Kingdom Corporal 54205Royal Engineers30/05/1917 Age: 30 VII. E. 3. United Kingdom Serjeant 200854Seaforth Highlanders20/07/1917 Age: 19 VIII. C. 1. United Kingdom Bombardier 665422Royal Field Artillery31/05/1918 VI. G. 5. United Kingdom Private 22237Duke of Wellington's (West Riding Regiment)20/07/1918 II. C. 7. United Kingdom Private 306333Duke of Wellington's (West Riding Regiment)20/07/1918 II. A. 4. United Kingdom Private 3/1508King's Own Yorkshire Light Infantry20/07/1917 Age: 23 IV. AA. 3. United Kingdom Private 28991Gloucestershire Regiment06/07/1918 V. F. 2. United Kingdom Corporal 265361Seaforth Highlanders20/07/1918 IV. C. 5. United Kingdom Lance Corporal 290993Gordon Highlanders26/07/1918 VI. D. 1. United Kingdom Private 241675King's Own Yorkshire Light Infantry25/07/1918 X. F. 10. United Kingdom Private S/25316Seaforth Highlanders23/07/1918 I. J. 8. United Kingdom Private S/22852Argyll and Sutherland Highlanders24/07/1918 VII. D. 10. United Kingdom Private 331135Royal Scots23/07/1918 V. A. 12. New Zealand Private 28511New Zealand Cyclist Battalion23/07/1917 Age: 22 IV. BB. 5. United Kingdom Private 31487Duke of Wellington's (West Riding Regiment)23/07/1917 Age: 31 VI. I. 7. United Kingdom Lance Corporal 263038Seaforth Highlanders27/07/1918 III. I. 1. United Kingdom Private 205574Duke of Wellington's (West Riding Regiment)20/07/1918 II. G. 5. United Kingdom Sapper 422397Royal Engineers27/05/1918 I. E. 1. United Kingdom Wheeler 630263Royal Field Artillery20/07/1918 VI. B. 6. United Kingdom Private S/23553Gordon Highlanders23/07/1918 VII. C. 5. United Kingdom Private 300134Duke of Wellington's (West Riding Regiment)20/07/1918 III. E. 9. United Kingdom Private 11677Duke of Wellington's (West Riding Regiment)20/07/1917 Age: 33 I. C. 10. United Kingdom Private 47090West Yorkshire Regiment (Prince of Wales's Own)20/07/1917 Age: 30 II. D. 4. United Kingdom Lance Corporal 268083Duke of Wellington's (West Riding Regiment)20/07/1918 III. D. 2. United Kingdom Private 203077Seaforth Highlanders23/07/1917 Age: 20 IV. C. 10. United Kingdom Private 55037West Yorkshire Regiment (Prince of Wales's Own)20/07/1917 Age: 33 III. E. 4. United Kingdom Private 81482Durham Light Infantry04/07/1918 I. I. 3. United Kingdom Private 241812Northumberland Fusiliers27/05/1918 IX. C. 3. United Kingdom Private S/42328Gordon Highlanders26/07/1918 VI. D. 3. United Kingdom Captain Gordon Highlanders20/07/1917 Age: 32 I. B. 7. United Kingdom Private S/42330Gordon Highlanders26/07/1917 Age: 18 V. D. 13. United Kingdom Private 240594Duke of Wellington's (West Riding Regiment)20/07/1917 Age: 24 VII. A. 8. United Kingdom Corporal 206865Lincolnshire Regiment27/05/1917 Age: 38 V. F. 1. United Kingdom Serjeant 202088West Yorkshire Regiment (Prince of Wales's Own)20/07/1917 Age: 29 I. F. 9. United Kingdom Rifleman 60264West Yorkshire Regiment (Prince of Wales's Own)20/07/1917 Age: 19 X. I. 8. United Kingdom Private 310095Black Watch (Royal Highlanders)31/07/1917 Age: 21 VIII. B. 6. United Kingdom Private S/21251Gordon Highlanders23/07/1917 Age: 19 VII. C. 8. United Kingdom Lance Serjeant 305184West Yorkshire Regiment (Prince of Wales's Own)20/07/1917 Age: 29 X. J. 6. United Kingdom Corporal 31111South Lancashire Regiment30/05/1918 Sapicourt French Mil. Cem. 3. United Kingdom Private 75450Royal Army Medical Corps29/05/1917 Age: 22 I. D. 4. United Kingdom Private S/24755Seaforth Highlanders20/07/1918 II. H. 2. United Kingdom Sapper 180434Royal Engineers06/06/1918 IV. J. 8. United Kingdom Rifleman 59499West Yorkshire Regiment (Prince of Wales's Own)20/07/1917 Age: 19 IV. AA. 8. United Kingdom Private 203160West Yorkshire Regiment (Prince of Wales's Own)20/07/1918 V. C. 12. United Kingdom Driver 755011Royal Field Artillery27/05/1917 Age: 30 III. BB. 4. United Kingdom Rifleman 61940West Yorkshire Regiment (Prince of Wales's Own)20/07/1917 Age: 19 X. J. 1. United Kingdom Driver 64441Royal Field Artillery08/06/1918 I. A. 4. United Kingdom Private 48612Lancashire Fusiliers27/05/1917 Age: 18 IX. C. 6. United Kingdom Private 57886West Yorkshire Regiment (Prince of Wales's Own)20/07/1917 Age: 19 V. C. 11. United Kingdom Private 21700Hampshire Regiment20/07/1918 I. D. 6. United Kingdom Private 20482West Yorkshire Regiment (Prince of Wales's Own)20/07/1917 Age: 36 Sp. Mem. 1. United Kingdom Private 290872Gordon Highlanders23/07/1918 VIII. C. 3. United Kingdom Private 266200Gordon Highlanders26/07/1918 VI. D. 5. United Kingdom Private 200362West Yorkshire Regiment (Prince of Wales's Own)20/07/1918 II. A. 5. United Kingdom Private 442050Royal Army Medical Corps15/06/1917 Age: 23 VI. H. 5. United Kingdom Private 285452Seaforth Highlanders20/07/1918 IV. D. 5. United Kingdom Corporal 4836Army Cyclist Corps28/05/1917 Age: 23 I. AA. 3. United Kingdom Private 43323Devonshire Regiment27/05/1918 V. I. 3. United Kingdom Rifleman 52114West Yorkshire Regiment (Prince of Wales's Own)20/07/1917 Age: 19 X. J. 5. United Kingdom Private 59775West Yorkshire Regiment (Prince of Wales's Own)20/07/1917 Age: 20 II. B. 5. United Kingdom Private 25124Duke of Wellington's (West Riding Regiment)20/07/1918 Sp. Mem. 5. United Kingdom Lance Corporal 66925Machine Gun Corps (Infantry)24/07/1918 II. J. 1. United Kingdom Private 201180King's Own Yorkshire Light Infantry27/07/1918 IV. F. 2. United Kingdom Second Lieutenant Machine Gun Corps (Infantry)28/07/1917 Age: 34 V. H. 10. United Kingdom Private 44910Northumberland Fusiliers11/06/1918 VII. A. 3. United Kingdom Private 26189Duke of Wellington's (West Riding Regiment)20/07/1917 Age: 33 II. BB. 7. United Kingdom Private 204237Seaforth Highlanders23/07/1917 Age: 24 I. J. 9. United Kingdom Private 51311Devonshire Regiment20/07/1918 I. G. 5. United Kingdom Private S/25176Seaforth Highlanders26/07/1918 IV. G. 10. United Kingdom Private 22032Gordon Highlanders26/07/1918 VIII. B. 8. United Kingdom Private 86977Durham Light Infantry31/05/1917 Age: 19 VII. G. 2. United Kingdom Private 40397Royal Warwickshire Regiment30/05/1917 Age: 19 V. J. 11. United Kingdom Private 28891West Yorkshire Regiment (Prince of Wales's Own)20/07/1918 III. E. 5. United Kingdom Private 130250Machine Gun Corps (Infantry)05/06/1918 I. B. 4. United Kingdom Lance Corporal 201678Hampshire Regiment20/07/1917 Age: 38 III. G. 6. United Kingdom Private 240270Duke of Wellington's (West Riding Regiment)21/07/1917 Age: 20 V. F. 8. United Kingdom Private 202799Hampshire Regiment25/07/1918 III. G. 4. United Kingdom Private 59509West Yorkshire Regiment (Prince of Wales's Own)20/07/1917 Age: 19 III. F. 8. United Kingdom Private 57536York and Lancaster Regiment30/07/1917 Age: 18 VII. F. 9. United Kingdom Private 125106Machine Gun Corps (Infantry)26/07/1918 IV. E. 5. United Kingdom Rifleman 53703West Yorkshire Regiment (Prince of Wales's Own)20/07/1918 V. B. 10/3. United Kingdom Private 14588West Yorkshire Regiment (Prince of Wales's Own)20/07/1918 III. E. 10. United Kingdom Private 51296Worcestershire Regiment27/05/1918 IX. C. 1. United Kingdom Private 41471South Staffordshire Regiment27/05/1917 Age: 21 V. B. 4. United Kingdom Lance Corporal 201611West Yorkshire Regiment (Prince of Wales's Own)20/07/1917 Age: 29 X. H. 7. United Kingdom Private 105646Machine Gun Corps (Infantry)30/05/1917 Age: 25 VII. E. 1. United Kingdom Sapper 153810Royal Engineers06/06/1917 Age: 24 IV. J. 3. United Kingdom Private 57603West Yorkshire Regiment (Prince of Wales's Own)20/07/1917 Age: 21 II. F. 4. United Kingdom Private 31654Durham Light Infantry09/06/1918 VI. D. 9. United Kingdom Private 84720Royal Army Medical Corps06/06/1917 Age: 20 V. H. 5. United Kingdom Private 40891Hampshire Regiment20/07/1918 III. F. 5. United Kingdom Driver 11406Royal Field Artillery31/05/1918 VII. E. 4. United Kingdom Rifleman 61943West Yorkshire Regiment (Prince of Wales's Own)20/07/1918 X. H. 4. United Kingdom Private 40553Hampshire Regiment20/07/1917 Age: 33 I. C. 9. United Kingdom Corporal 201883West Yorkshire Regiment (Prince of Wales's Own)20/07/1917 Age: 21 I. H. 9. United Kingdom Private S/21941Gordon Highlanders23/07/1917 Age: 19 VII. C. 2. United Kingdom Private 235113Duke of Wellington's (West Riding Regiment)28/07/1917 Age: 25 III. B. 7. United Kingdom Private S/24971Seaforth Highlanders21/07/1917 Age: 18 IV. G. 2. United Kingdom Second Lieutenant Argyll and Sutherland Highlanders20/07/1918 III. C. 2. United Kingdom Private 204784Seaforth Highlanders20/07/1918 IV. B. 5. United Kingdom Corporal S/9821Argyll and Sutherland Highlanders20/07/1918 VI. A. 7. United Kingdom Corporal 913Royal Field Artillery06/06/1918 VI. B. 10. United Kingdom Private 77916Durham Light Infantry20/07/1917 Age: 19 VII. I. 10. United Kingdom Private 43433Hampshire Regiment20/07/1918 I. C. 13. United Kingdom Private 58703West Yorkshire Regiment (Prince of Wales's Own)20/07/1918 II. E. 10. United Kingdom Second Lieutenant North Staffordshire Regiment06/06/1917 Age: 21 VII. H. 2. United Kingdom Private S/25168Seaforth Highlanders21/07/1917 Age: 18 IV. C. 6. United Kingdom Private S/24252Seaforth Highlanders20/07/1917 Age: 18 I. J. 14. United Kingdom Private 202489Hampshire Regiment20/07/1918 II. G. 6. United Kingdom Sapper 40231Royal Engineers06/06/1917 Age: 36 IV. J. 5. United Kingdom Private 35887Machine Gun Corps (Infantry)20/07/1917 Age: 27 VIII. D. 7. United Kingdom Private 290339Gordon Highlanders26/07/1918 V. A. 7. United Kingdom Second Lieutenant Gordon Highlanders23/07/1917 Age: 21 II. H. 4. United Kingdom Private S/42199Seaforth Highlanders23/07/1917 Age: 39 III. H. 10. United Kingdom Private 240561Gordon Highlanders23/07/1917 Age: 25 VIII. C. 8. United Kingdom Rifleman 47287West Yorkshire Regiment (Prince of Wales's Own)20/07/1918 IV. AA. 7. United Kingdom Corporal TS/729Army Service Corps27/05/1917 Age: 42 Montigny-sur-Vesle Mil. Cem. Mem. 1. United Kingdom Private S/42506Gordon Highlanders19/07/1917 Age: 18 V. E. 13. United Kingdom Lance Corporal 14189Durham Light Infantry05/06/1917 Age: 22 I. H. 2. United Kingdom Private 74098Devonshire Regiment05/06/1917 Age: 18 VII. D. 2. United Kingdom Private 57521Worcestershire Regiment03/06/1918 I. AA. 4. United Kingdom Private 37449Hampshire Regiment20/07/1917 Age: 20 I. D. 8. United Kingdom Private 268319Sherwood Foresters (Notts and Derby Regiment)06/06/1917 Age: 31 VIII. I. 9. United Kingdom Lance Corporal 263057Seaforth Highlanders27/07/1917 Age: 24 I. I. 11. United Kingdom Corporal 240666Devonshire Regiment20/07/1917 Age: 23 II. D. 5. United Kingdom Private S/12635Black Watch (Royal Highlanders)20/07/1918 VIII. J. 6. United Kingdom Lance Corporal S/6006Seaforth Highlanders20/07/1918 II. A. 15. United Kingdom Serjeant 2004Lancashire Fusiliers09/06/1918 VI. D. 10. United Kingdom Second Lieutenant Gordon Highlanders28/07/1918 VII. D. 9. United Kingdom Private 75903Northumberland Fusiliers08/06/1918 II. AA. 6. United Kingdom Private 39876South Wales Borderers12/06/1917 Age: 22 VI. F. 2. United Kingdom Commander French Red Cross Society29/05/1917 Age: 23 VI. E. 6. United Kingdom Private 48896North Staffordshire Regiment04/06/1918 VII. H. 3. United Kingdom Private S/2314Seaforth Highlanders23/07/1918 I. J. 5. New Zealand Second Lieutenant 32540New Zealand Rifle Brigade23/07/1917 Age: 32 I. A. 14. United Kingdom Private 60282West Yorkshire Regiment (Prince of Wales's Own)20/07/1918 III. C. 10. United Kingdom Serjeant 3669Royal Field Artillery01/06/1917 Age: 23 VI. G. 7. United Kingdom Private 7150Seaforth Highlanders20/07/1918 III. C. 1. United Kingdom Private 65715Cheshire Regiment31/05/1918 VIII. F. 4. United Kingdom Private 306949Duke of Wellington's (West Riding Regiment)20/07/1917 Age: 23 II. E. 1. United Kingdom Private 27746Hampshire Regiment20/07/1917 Age: 38 I. B. 11. United Kingdom Private 58080King's Own Yorkshire Light Infantry20/07/1917 Age: 19 X. H. 8. United Kingdom Private 75820Northumberland Fusiliers18/06/1918 VI. D. 7. United Kingdom Private 130319Machine Gun Corps (Infantry)23/07/1918 VI. I. 5. United Kingdom Private 201426York and Lancaster Regiment28/07/1917 Age: 31 I. B. 8. United Kingdom Second Lieutenant West Yorkshire Regiment (Prince of Wales's Own)20/07/1917 Age: 23 III. D. 10. United Kingdom Private 268556Duke of Wellington's (West Riding Regiment)22/07/1917 Age: 25 VI. I. 8. United Kingdom Private 67591Devonshire Regiment20/07/1918 I. H. 13. United Kingdom Private 350659Argyll and Sutherland Highlanders23/07/1917 Age: 23 III. A. 3. United Kingdom Gunner 632011Royal Field Artillery20/07/1918 VI. B. 8. United Kingdom Private S/22043Gordon Highlanders26/07/1917 Age: 18 VI. D. 2. United Kingdom Private 37584King's Own Yorkshire Light Infantry20/07/1917 Age: 20 VIII. C. 5. United Kingdom Corporal 71159Royal Garrison Artillery01/06/1917 Age: 39 I. C. 3. United Kingdom Private 57558West Yorkshire Regiment (Prince of Wales's Own)20/07/1917 Age: 33 III. D. 9. United Kingdom Private 118184Royal Army Medical Corps03/06/1918 VII. G. 8. United Kingdom Private 201028King's Own Yorkshire Light Infantry20/07/1918 X. F. 4. United Kingdom Private 39616Wiltshire Regiment04/06/1918 II. BB. 2. United Kingdom Lance Corporal 41910Leicestershire Regiment03/06/1918 Sp. Mem. 2. United Kingdom Private S/41925Seaforth Highlanders21/07/1917 Age: 18 I. J. 11. United Kingdom Serjeant 205138King's Shropshire Light Infantry06/06/1918 V. H. 4. United Kingdom Private 12/511York and Lancaster Regiment27/07/1918 IV. D. 6. United Kingdom Private 67581Devonshire Regiment20/07/1917 Age: 19 II. D. 3. United Kingdom Private 351346Argyll and Sutherland Highlanders24/07/1917 Age: 31 V. C. 10. United Kingdom Lieutenant West Yorkshire Regiment (Prince of Wales's Own)20/07/1917 Age: 23 X. G. 1. United Kingdom Private 66869Devonshire Regiment20/07/1917 Age: 20 I. D. 14. United Kingdom Private 3/10379West Yorkshire Regiment (Prince of Wales's Own)20/07/1918 III. E. 7. United Kingdom Private S/24175Seaforth Highlanders20/07/1917 Age: 18 IV. G. 5. United Kingdom Private 331065Royal Scots23/07/1917 Age: 19 V. C. 5. United Kingdom Private 37740West Yorkshire Regiment (Prince of Wales's Own)20/07/1918 II. J. 5. United Kingdom Private S/21274Gordon Highlanders26/07/1918 VIII. B. 5. United Kingdom Private 203617Devonshire Regiment20/07/1918 II. F. 2. United Kingdom Private S/24055Seaforth Highlanders27/07/1917 Age: 19 III. I. 6. New Zealand Private 13120New Zealand Cyclist Battalion23/07/1917 Age: 27 II. I. 9. United Kingdom Private 39586Gloucestershire Regiment15/06/1917 Age: 22 VI. H. 8. United Kingdom Private 266301Gordon Highlanders19/07/1917 Age: 25 II. B. 3. United Kingdom Private 265897Duke of Wellington's (West Riding Regiment)20/07/1917 Age: 21 II. E. 9. United Kingdom Private 207308Worcestershire Regiment18/06/1918 VIII. H. 8. United Kingdom Serjeant 276164Argyll and Sutherland Highlanders24/07/1917 Age: 24 V. C. 8. United Kingdom Staff Serjeant ( Wheeler ) 145498Royal Field Artillery01/06/1917 Age: 32 VI. G. 6. United Kingdom Private 7047Machine Gun Corps (Infantry)20/07/1917 Age: 24 V. E. 6. United Kingdom Private S/21279Gordon Highlanders24/07/1918 VI. A. 8. United Kingdom Second Lieutenant Lancashire Fusiliers20/07/1918 II. A. 1. United Kingdom Private S/42526Gordon Highlanders25/07/1918 VII. B. 2. United Kingdom Private S/11816Argyll and Sutherland Highlanders23/07/1918 VI. A. 6. United Kingdom Corporal 14855South Wales Borderers17/06/1917 Age: 33 VI. I. 2. United Kingdom Lance Corporal 44068Durham Light Infantry27/05/1917 Age: 19 VIII. J. 2. United Kingdom Private 267275Seaforth Highlanders20/07/1917 Age: 21 IV. B. 4. United Kingdom Private 128402Machine Gun Corps (Infantry)20/07/1917 Age: 19 IX. A. 2. United Kingdom Private 210341Hampshire Regiment20/07/1918 II. G. 7. United Kingdom Private 263062Seaforth Highlanders23/07/1918 IV. I. 3. United Kingdom Private 42885Lancashire Fusiliers28/05/1918 IX. B. 8. United Kingdom Private 57164Lancashire Fusiliers28/05/1917 Age: 19 V. C. 3. United Kingdom Private 42992Worcestershire Regiment05/06/1917 Age: 20 I. AA. 2. United Kingdom Private 65364Royal Army Medical Corps15/06/1917 Age: 22 VI. H. 6. United Kingdom Private 34753Border Regiment01/06/1918 I. B. 5. United Kingdom Private 67391Devonshire Regiment29/07/1918 VI. I. 3. United Kingdom Private 52340West Yorkshire Regiment (Prince of Wales's Own)20/07/1917 Age: 19 I. H. 11. United Kingdom Rifleman 59330West Yorkshire Regiment (Prince of Wales's Own)20/07/1917 Age: 19 IV. AA. 4. United Kingdom Gunner 232307Royal Field Artillery06/06/1917 Age: 20 IV. F. 9. United Kingdom Private 268385Duke of Wellington's (West Riding Regiment)20/07/1917 Age: 21 II. E. 7. United Kingdom Private 67390Devonshire Regiment20/07/1918 III. D. 8. United Kingdom Second Lieutenant Royal Air Force20/07/1917 Age: 31 II. I. 5. United Kingdom Private 290257Gordon Highlanders26/07/1917 Age: 21 V. A. 10. United Kingdom Private S/42376Gordon Highlanders23/07/1917 Age: 18 V. B. 8. United Kingdom Private 75670Durham Light Infantry29/05/1918 V. J. 13. 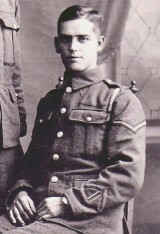 United Kingdom Lance Corporal 201199West Yorkshire Regiment (Prince of Wales's Own)20/07/1917 Age: 22 II. F. 1. United Kingdom Lance Corporal 235268West Yorkshire Regiment (Prince of Wales's Own)20/07/1917 Age: 31 II. I. 1. United Kingdom Private 7824Lancashire Fusiliers21/06/1918 V. G. 2. United Kingdom Private S/42053Seaforth Highlanders23/07/1918 IV. G. 4. United Kingdom Private S/21284Gordon Highlanders23/07/1918 V. B. 6. United Kingdom Serjeant 7133Seaforth Highlanders23/07/1918 II. A. 9. United Kingdom Sapper 47132Royal Engineers04/06/1918 VII. E. 9. United Kingdom Private 77864Durham Light Infantry23/07/1918 X. J. 3. United Kingdom Private 46307York and Lancaster Regiment27/07/1917 Age: 22 IV. D. 7. United Kingdom Gunner 650659Royal Field Artillery06/06/1917 Age: 22 VIII. G. 8. United Kingdom Captain Lincolnshire Regiment01/06/1917 Age: 24 I. AA. 9. United Kingdom Second Lieutenant South Staffordshire Regiment26/05/1917 Age: 25 I. A. 2. United Kingdom Private 277220Durham Light Infantry23/07/1917 Age: 31 X. G. 4. United Kingdom Private 201657Seaforth Highlanders22/07/1917 Age: 22 I. I. 9. United Kingdom Lance Corporal 53654Machine Gun Corps (Infantry)20/07/1917 Age: 20 II. F. 9. United Kingdom Second Lieutenant The Loyal North Lancashire Regiment05/06/1917 Age: 28 VII. D. 6. United Kingdom Gunner 122898Royal Garrison Artillery27/05/1918 III. BB. 5. United Kingdom Corporal 240897Seaforth Highlanders23/07/1918 I. I. 5. United Kingdom Private 202765Seaforth Highlanders20/07/1917 Age: 20 IV. G. 8. United Kingdom Corporal 306975West Yorkshire Regiment (Prince of Wales's Own)20/07/1917 Age: 28 X. G. 11. United Kingdom Private 15/868West Yorkshire Regiment (Prince of Wales's Own)20/07/1918 II. D. 7. United Kingdom Private 40426Royal Warwickshire Regiment05/06/1917 Age: 19 V. I. 10. United Kingdom Private 24492Machine Gun Corps (Infantry)24/07/1917 Age: 24 V. C. 14. United Kingdom Lance Corporal 201944West Yorkshire Regiment (Prince of Wales's Own)20/07/1918 III. A. 9. United Kingdom Lance Corporal 240478Devonshire Regiment20/07/1917 Age: 25 I. E. 13. United Kingdom Private 51853West Yorkshire Regiment (Prince of Wales's Own)20/07/1918 II. D. 10. United Kingdom Private 23096Wiltshire Regiment06/06/1917 Age: 21 V. H. 8. United Kingdom Private 266714Gordon Highlanders23/07/1918 V. B. 5. United Kingdom Lance Corporal 201689West Yorkshire Regiment (Prince of Wales's Own)20/07/1917 Age: 23 II. J. 8. United Kingdom Private 35492Royal Warwickshire Regiment01/06/1917 Age: 18 VI. G. 1. United Kingdom Gunner 171923Royal Field Artillery09/06/1917 Age: 41 IV. D. 2. United Kingdom Captain Royal Field Artillery06/06/1917 Age: 24 VI. G. 8. United Kingdom Sapper 44403Royal Engineers06/06/1917 Age: 41 IV. J. 2. United Kingdom Private 108853Machine Gun Corps (Infantry)28/07/1917 Age: 21 V. H. 12. United Kingdom Serjeant 242745York and Lancaster Regiment27/07/1917 Age: 25 II. C. 3. United Kingdom Rifleman 60588West Yorkshire Regiment (Prince of Wales's Own)20/07/1917 Age: 19 X. H. 9. United Kingdom Private 49368West Yorkshire Regiment (Prince of Wales's Own)20/07/1917 Age: 32 III. E. 3. United Kingdom Private 14172Hampshire Regiment25/07/1918 II. D. 2. United Kingdom Private 53745West Yorkshire Regiment (Prince of Wales's Own)20/07/1917 Age: 18 I. F. 10. United Kingdom Private 73661Royal Welsh Fusiliers31/05/1917 Age: 19 VII. G. 4. United Kingdom Private 202429Black Watch (Royal Highlanders)20/07/1917 Age: 36 VIII. J. 7. United Kingdom Private 39444South Wales Borderers07/06/1917 Age: 21 VIII. H. 4. United Kingdom Private 60678Sherwood Foresters (Notts and Derby Regiment)27/05/1917 Age: 27 XI. H. 3. United Kingdom Pioneer 83246Royal Engineers06/06/1918 IV. J. 1. United Kingdom Private 207309Worcestershire Regiment12/06/1917 Age: 25 I. D. 2. United Kingdom Private 67398Devonshire Regiment20/07/1918 II. D. 6. United Kingdom Private 53773West Yorkshire Regiment (Prince of Wales's Own)20/07/1917 Age: 19 III. J. 5. United Kingdom Private 36696South Staffordshire Regiment17/06/1918 I. H. 4. United Kingdom Lance Corporal 200120Durham Light Infantry23/06/1917 Age: 22 IX. A. 5. United Kingdom Driver 60903Royal Field Artillery06/06/1917 Age: 22 V. H. 9. United Kingdom Private 41605Leicestershire Regiment27/05/1918 Montigny-sur Vesle Mil. Cem. Mem. 2. United Kingdom Gunner 178603Royal Field Artillery29/07/1917 Age: 20 IV. H. 8. United Kingdom Rifleman 60586West Yorkshire Regiment (Prince of Wales's Own)20/07/1917 Age: 19 X. I. 9. United Kingdom Private 22028Northumberland Fusiliers28/05/1918 V. D. 3. United Kingdom Private 20502West Yorkshire Regiment (Prince of Wales's Own)20/07/1918 III. F. 10. United Kingdom Private 70586Royal Welsh Fusiliers16/07/1918 I. E. 4. United Kingdom Private 50742Royal Warwickshire Regiment15/06/1917 Age: 18 Marfaux Chyd. Extn. Mem. United Kingdom Private 325401Royal Scots23/07/1917 Age: 31 V. A. 14. United Kingdom Private S/41977Seaforth Highlanders28/07/1917 Age: 19 II. F. 10. United Kingdom Private 48908West Yorkshire Regiment (Prince of Wales's Own)20/07/1918 II. E. 4. United Kingdom Private 356568Hampshire Regiment20/07/1918 I. H. 6. United Kingdom Private 301798Durham Light Infantry05/06/1918 VII. D. 4. United Kingdom Private 269299Duke of Wellington's (West Riding Regiment)20/07/1917 Age: 19 II. C. 8. United Kingdom Private 201531West Yorkshire Regiment (Prince of Wales's Own)20/07/1918 II. D. 9. United Kingdom Private 41782Worcestershire Regiment18/06/1918 V. I. 5. United Kingdom Corporal 202874Gordon Highlanders26/07/1917 Age: 20 IV. J. 10. United Kingdom Private 41507South Wales Borderers12/06/1917 Age: 19 I. I. 1. United Kingdom Private 201437Hampshire Regiment25/07/1918 IV. AA. 5. United Kingdom Gunner 223260Royal Field Artillery29/07/1917 Age: 20 VI. H. 2. United Kingdom Private 241608Gordon Highlanders23/07/1917 Age: 23 VII. C. 6. United Kingdom Sapper 23208Royal Engineers23/07/1917 Age: 26 II. I. 8. United Kingdom Private 59428Durham Light Infantry01/06/1918 VII. E. 5. United Kingdom Private 26648Duke of Wellington's (West Riding Regiment)20/07/1917 Age: 19 II. B. 6. United Kingdom Private 201478Duke of Wellington's (West Riding Regiment)20/07/1917 Age: 23 I. G. 7. United Kingdom Private 306105Duke of Wellington's (West Riding Regiment)20/07/1917 Age: 20 II. H. 9. United Kingdom Private 335621Royal Scots23/07/1917 Age: 20 VIII. B. 4. United Kingdom Private 260160Seaforth Highlanders27/07/1918 III. I. 3. United Kingdom Private 22370Duke of Wellington's (West Riding Regiment)20/07/1918 III. G. 9. United Kingdom Private 42822South Staffordshire Regiment13/06/1917 Age: 19 I. H. 1. United Kingdom Private 45299Cheshire Regiment05/06/1917 Age: 21 VII. F. 1. United Kingdom Private 40370Leicestershire Regiment09/07/1918 I. F. 4. United Kingdom Private 200673Seaforth Highlanders20/07/1917 Age: 22 IV. B. 2. United Kingdom Private 40953North Staffordshire Regiment06/06/1917 Age: 25 VII. A. 1. United Kingdom Gunner 881989Royal Field Artillery29/07/1917 Age: 28 IV. H. 2. United Kingdom Private 260161Seaforth Highlanders23/07/1918 VI. C. 8. United Kingdom Serjeant 240505King's Own Yorkshire Light Infantry20/07/1918 VIII. D. 8. United Kingdom Sapper 534754Royal Engineers06/06/1917 Age: 24 IV. J. 4. United Kingdom Gunner 149255Royal Field Artillery06/06/1917 Age: 34 VIII. G. 6. United Kingdom Private M2/114120Army Service Corps27/05/1918 Vaux-Varennes French Mil. Cem. Mem. 1. United Kingdom Private 242281Seaforth Highlanders23/07/1918 IV. C. 9. United Kingdom Rifleman 306103West Yorkshire Regiment (Prince of Wales's Own)20/07/1917 Age: 21 X. H. 3. United Kingdom Private 327221Durham Light Infantry23/07/1918 X. G. 9. United Kingdom Private 203074Leicestershire Regiment01/06/1918 I. I. 4. United Kingdom Private 34550Leicestershire Regiment06/06/1918 I. A. 5. United Kingdom Private 23447Wiltshire Regiment16/06/1917 Age: 23 VII. E. 2. United Kingdom Private 17541Northamptonshire Regiment06/06/1917 Age: 25 VIII. I. 6. United Kingdom Corporal 306275West Yorkshire Regiment (Prince of Wales's Own)20/07/1917 Age: 22 V. E. 10. United Kingdom Private 132808Machine Gun Corps (Infantry)27/07/1918 IV. F. 7. United Kingdom Private 75315Northumberland Fusiliers10/06/1918 I. D. 3. United Kingdom Gunner 680594Royal Field Artillery28/07/1918 VI. H. 1. United Kingdom Private 31808Duke of Wellington's (West Riding Regiment)20/07/1917 Age: 20 III. G. 5. United Kingdom Private 48140Yorkshire Regiment22/08/1917 Age: 23 IX. D. 7. United Kingdom Private 41901South Wales Borderers30/05/1918 VIII. J. 10. United Kingdom Rifleman 57332West Yorkshire Regiment (Prince of Wales's Own)20/07/1918 X. I. 6. United Kingdom Captain West Yorkshire Regiment (Prince of Wales's Own)20/07/1917 Age: 23 X. I. 7. United Kingdom Private S/41688Seaforth Highlanders20/07/1917 Age: 19 III. A. 5. United Kingdom Private 45057Cheshire Regiment17/06/1918 VI. F. 10. United Kingdom Private S/12379Argyll and Sutherland Highlanders24/07/1917 Age: 21 V. C. 9. United Kingdom Second Lieutenant West Yorkshire Regiment (Prince of Wales's Own)20/07/1918 X. F. 3. United Kingdom Private 27001Wiltshire Regiment02/06/1917 Age: 20 VII. G. 6. United Kingdom Captain Monmouthshire Regiment30/05/1918 I. BB. 3. United Kingdom Private 19364Worcestershire Regiment06/06/1917 Age: 33 VIII. I. 7. United Kingdom Private 8/42040Seaforth Highlanders20/07/1917 Age: 19 V. C. 13. United Kingdom Private 242177King's Own Yorkshire Light Infantry20/07/1918 X. I. 11. United Kingdom Private 32631Northumberland Fusiliers05/06/1917 Age: 23 VII. D. 3. United Kingdom Private S/22698Gordon Highlanders26/07/1918 VIII. B. 3. United Kingdom Private 62610King's Own Yorkshire Light Infantry27/07/1917 Age: 19 VIII. D. 2. United Kingdom Private 325255Royal Scots21/07/1917 Age: 26 VI. B. 4. United Kingdom Private 67606Devonshire Regiment20/07/1917 Age: 19 I. F. 6. United Kingdom Private 241852Gloucestershire Regiment14/06/1918 VIII. F. 8. United Kingdom Private 32398Duke of Wellington's (West Riding Regiment)20/07/1918 VII. I. 8. United Kingdom Private 276659Argyll and Sutherland Highlanders23/07/1918 VIII. D. 1. United Kingdom Private 30436The Loyal North Lancashire Regiment10/07/1918 I. G. 2. United Kingdom Private 240655Devonshire Regiment20/07/1917 Age: 24 VI. J. 7. United Kingdom Private 42488South Wales Borderers07/06/1917 Age: 19 VIII. H. 2. United Kingdom Private 50758Royal Warwickshire Regiment06/06/1917 Age: 18 VIII. G. 9. United Kingdom Gunner 645897Royal Field Artillery29/07/1918 VI. H. 4. United Kingdom Private 302736Royal Scots23/07/1918 V. A. 13. United Kingdom Private 50762Royal Warwickshire Regiment31/05/1917 Age: 18 VI. J. 9. United Kingdom Private 202459Hampshire Regiment22/07/1918 II. C. 2. United Kingdom Private S/41217Seaforth Highlanders27/07/1918 III. F. 1. United Kingdom Private 60672West Yorkshire Regiment (Prince of Wales's Own)20/07/1918 II. J. 2. United Kingdom Private S/23995Seaforth Highlanders27/07/1918 IV. E. 9.